products from dirt and moisture damage. These bags are acid-free with no harmful plasticizers used in the production. and photographs. Bio-orienting gives the bags breathing properties so they will not ripple, dimple, or pucker over time. hundreds of different items to sell or display. These bags are also FDA approved for food storage. both moisture and oxygen from permeating the bag!!! 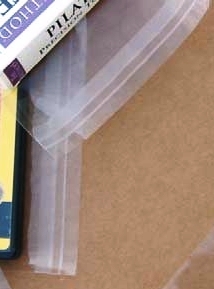 Lip and Tape bags have a peal off strip that reveals a sticky band. Then you simply fold over the flap and the bag seals. You can then reopen the bag and the self sealing sticky band will allow you to reclose the bag. The resealable strip on the bag is always located on the short side of the bag. 1/2 inch in thickness. For each 1/2 inch in thickness you need to deduct 1 inch in width for each 1/2 inch in thickness. display well. Over stuffing Lip-N-Tap bags will cause blow outs at the side welds. 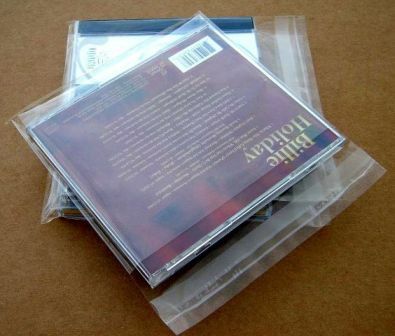 Lip & Tape Resealable Bags are a easy alternative to Shrink Wrapping or Heat Sealing. 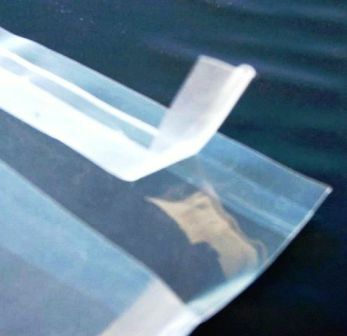 All bags have an allowance of 0.125” for bags less than 10” and 0.25 for bags larger than 10”. The lips range from 1.2” to 3.0”. The bags are all 160 gauge (1.6 mil) in thickness. The “feel” of the Lip n Tape bags have changed slightly relative to other production runs. with modern technology, necessitating the change. barriers of the bag and the thickness of 1.6 mil remain unaffected.